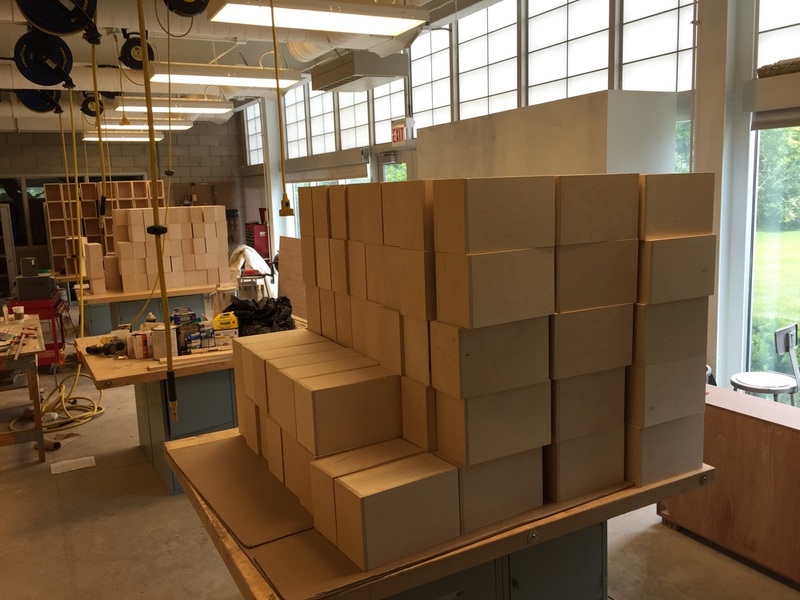 I had a lot of time to think while sanding and varnishing 310 boxes. It might have been the fumes (or listening to a lecture on Mikhail Bakhtin), but, it occurred to me that the groups that constitute Galesburg must have differing ideas about what "community" is. Including those ideas as aprt of the images would create another kind of conversation across the community. Something else you thought of or read. Mark Holmes, Knox's art department chair, founder of the Box and my good friend, fellow artist and camping buddy --our families have camped together for 20 years-- thinking about Knox, Sandburg JC, the VFW, the downtown business groups, churches, retirement homes and a host of other institutions that make up Galesburg, and, knowing the work that I've done depicting communities for the last 20 years invited me to do my fourth major portrait project In Galesburg --don't worry, that's the longest sentence I'll ever write. As we discussed places this project might land, we talked about the public library, Knox's new art building or even vacant storefronts downtown. I decided on the scale needed to be about 6'x20'. Initially I wanted to do 2000 images. I wanted them to be 15" long pieces of solid mahogany, stacked like cordwood —I wanted it to be freestanding—with portraits on the end of each piece of wood. Great idea, huh?